When using one of our amplifiers (big or small), you always need a volume control and preferably also a tone control. 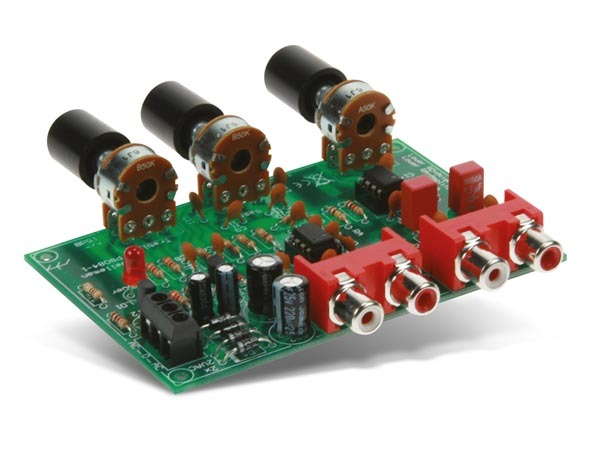 This kit comes complete with all input / output connections and potentiometers. Furthermore it is possible to amplify or attenuate the input signal.